Author(s) Daniel B. Botkin Keller, Edward A. 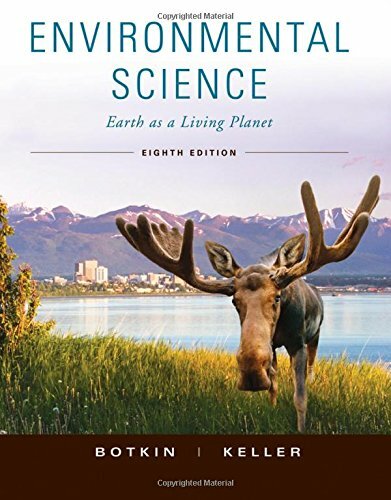 Environmental Science: Earth as a Living Planet, Eighth Edition provides emphasis on the scientific process throughout the book gives readers the structure to develop their critical thinking skills. Updated and revised to include the latest research in the field, the eighth edition continues to present a balanced analytical and interdisciplinary approach to the field. New streamlined text clears away the "jargon" to bring the issues and the science to the forefront. The new design and updated image program highlights key points and makes the book easier to navigate.